I came across an interesting news story about Julio Jones losing a $100,000 earring while on a jet ski. 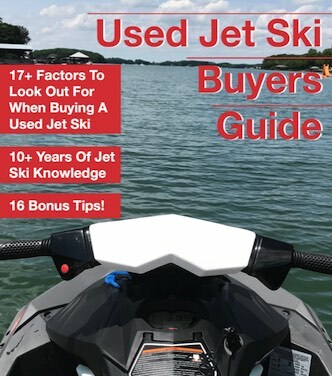 I’ve done many posts on what to wear and even what things to bring on a jet ski, but this news story made me want to do a post on what NOT to wear when riding a jet ski. I’ve never lost $100,000 worth of stuff on a jet ski, but I have lost many things of value before. I look back and think of how silly I was to lose such things, but it’s very common. I’ve lost wallets, phones, money, and so much more to the water. Once it’s gone, you might as well consider it gone forever. Sure, you can do what Julio Jones did and hire divers to look for it, but you’ll end up like him not finding it. I know I’m not going to convince many people to stop carrying their wallets or phones because I still take mine. But what I want to do is convince you to buy a Dry Bag like this one here. You will keep all the important items in a dry bag and it will be all in one place. You need to buy a big and bright dry bag so if it does fall out it will float and be visible. You would be crazy not to have one and even more crazy to not use it. I take mine out of the jet ski and load it up on the shore and seal it up before I get back to my jet ski. This way nothing gets wet or lost. As I need it, I pull the stuff out of the bag and seal it back up when I’m done. I’ve come to find out that most of the time I don’t need to go in the bag much when I’m riding, and the stuff I carry is just emergency things like my phone. If you worry about losing your phone to the water, I did an interesting post where I talk about solving that issue here. The biggest mistake Julio Jones made was having the earrings in when riding. I know it seems odd they would fall out since it’s an earring, but it can happen. I’ve seen watches get lost, hats, sunglasses, and even shoes. When I did test rides I always told people to leave anything expensive here – and many would not, and I can’t blame them as I’m some random guy they never meant so it would be hard to trust me but I would urge them to leave it in the car. Once it’s gone, it’s gone forever. Things like an earring can be eaten by a fish or lost under sand, and can end up miles away from where you lost it. Need to be replaced with there Jet Ski equivalents or cheaper options that you don’t mind losing. The Jet Ski or Boat equivalents will often float or be easier to find if they fall off. 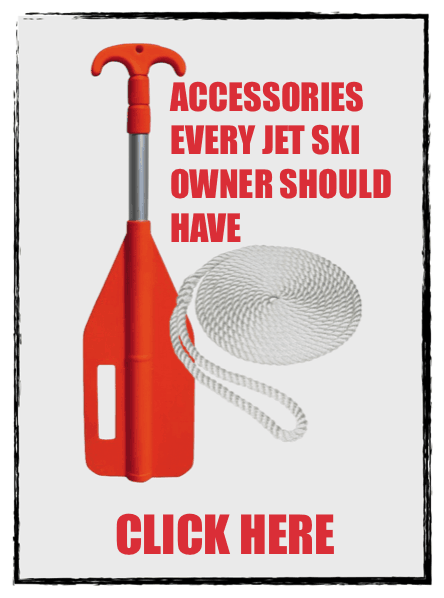 We talk more about this and other jet ski gear and what to bring here. If you’re interested in seeing what type of clothing you should wear I have a post on that here.